Sometimes, we get asked by small businesses if they really do need a website or IT support. They tell us they are just starting out, just small and not wanting to massively expand anytime soon, just wanting to see how things go for the first few months etc. All of these are valid points, and we do understand that when a business is starting out it does need to keep costs down, however, there is so much more to a website than just selling your product or service. Yes, your customers expect it. We live in a modern world where technology really is such a massive part of everyday life. When we want the answer to a question, we search for it on the Internet. When we want to buy something, we search for it on the Internet. When we want to order a takeaway, we search for it on the Internet. Are you starting to see the pattern? Many customers now prefer to find businesses online, and they also prefer being able to find out all the information they require about these businesses without actually having to physically speak to someone. So, make your product/service easily accessible and you really will be pleasing the modern-day person. Because it’s a place to sell yourself. Potential customers might already be interested in what you are offering, but don’t you think they would be much more interested if they had testimonials from previous and existing customers to tell them how great you are? Your website provides your business with a space to tell its story, and customer reviews can play a huge part in website content. Simply ask customers to review your business once they have used your product/service, pick the best few, and showcase them on your homepage. Because your business’s competitors likely all have websites. Don’t leave yourself behind and let them take your potential customers. You need to show the world you are serious, that you can keep up with the rest and that your website is better than any of those from offering similar products/services to you. If what you are offering is quite popular, meaning others are offering this too, then it is even more important that you let people know why they should be using your business instead of someone else’s. Because your business is constantly open. Maybe you like to go to bed at a reasonable time each night, but that doesn’t mean that your potential customers do. Think of all those night owls who, though they cannot go shopping into town during the night, can shop online. Just because you aren’t awake and working at 4am doesn’t mean your website isn’t. Having a website allows you to sell your products and services whilst you sleep. Because it allows more people to find you. Marketing can be both time consuming and expensive, especially for new small businesses. How do you let people know you exist? Do you print flyers to put through peoples’ letterboxes? Do you pay a fortune for an ad in a local paper? There really is a much easier solution – get a website and use online marketing. Optimise your website with all the keywords that your potential clients will use to search for businesses just like yours on the Internet. The better your website content and the more time spent working on your site, means the higher your business ranks in search engine results. Because you can let someone else do the work for you. Setting up a business can be time consuming, there is lots to do, lots to think of, and not really all that much time to do it all in. 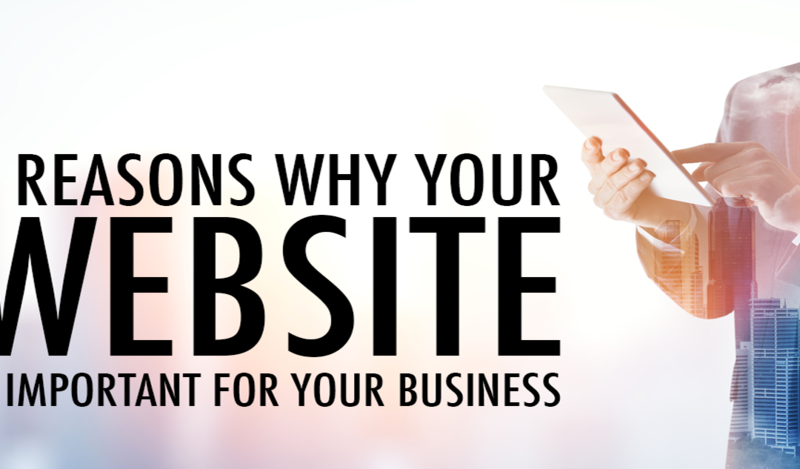 Thankfully, you can leave the planning and creating of your business website to someone else! All you need to do is provide an IT Support Company (such as us) with some content, your logo, and the basic requirements for your page. They will then do all the hard work for you, they can even take control of your Social Media and Blog accounts. So, as you can see, there really are numerous benefits to having a websites a small business. The best thing is, they don’t have to be over-expensive and daunting. If you want to enquire more about the benefits of having a website made for your business by our experienced Web Design Team, or to request we make one for you, then just get in touch. We provide friendly and professional IT Support throughout the North East at fair and realistic prices.